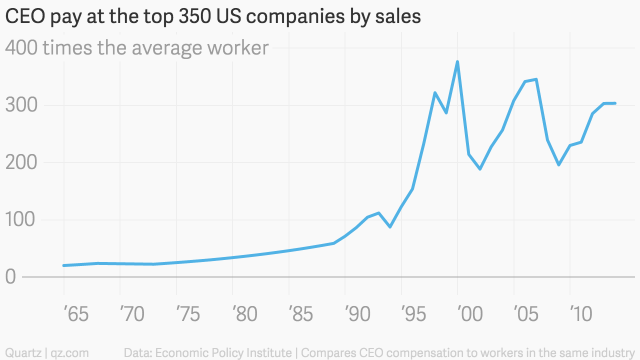 In an article on Quartz this week they provided a chart showing how much the CEOs at the top 350 companies in America make relative to the average worker (currently 300 times the average worker's salary). This massive gap in pay has been common knowledge for some time, but I found it interesting how directly this ratio correlates to the performance of the S&P 500. You can see in the chart above the booms and busts in CEO pay track in line with the performance of the general U.S. market (below). There are a few thoughts I have looking at these charts. 1. 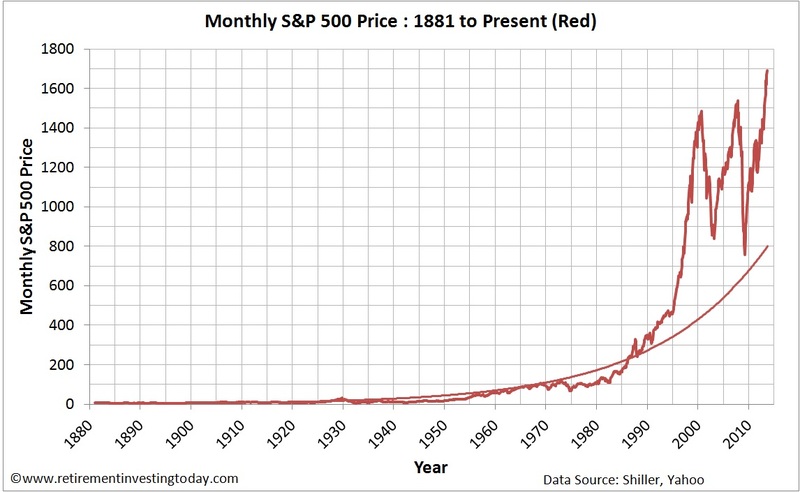 The wealthy receive the bulk of the benefit when financial markets are booming, and they are hurt the most when markets crash (the middle class and poor have relatively low savings so a 50% decline in the stock market may only be a loss of $7,000 to their net worth). Market booms create a greater divide between the haves and the have nots, while market crashes bring the rich closer in line with "the rest." 2. CEOs are paid based on stock performance. 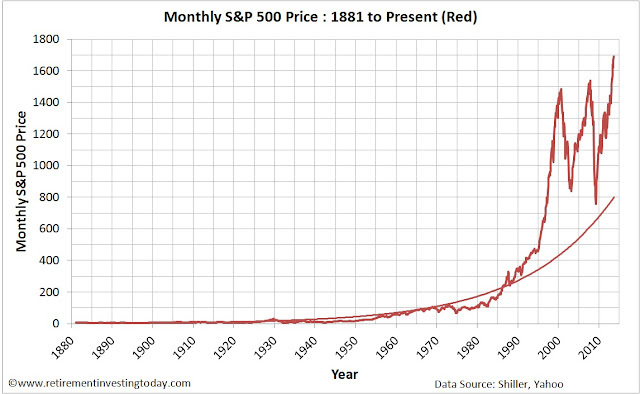 When their stock price booms, even if that boom is mostly due to a general asset market mania (see the last three stock market booms starting in 1995), they are rewarded heavily. When stocks fall, even if it is due to market conditions outside of their own control, they are punished. This provides CEOs an incentive to "cash in" during the booms and explains why corporations today are spending an enormous amount of money (and even borrowing when possible) to purchase their own shares and drive prices artificially higher.